The University of Georgia is distinguished by the disciplined educational process and modern infrastructure, enabling its students to acquire quality education and practical skills. For this reason the University is in leading ranks of regional educational institutions and is well-known to be dedicated to professional and personal growth of every student. Thus the graduates of the University of Georgia always benefit from superior employment prospects. Offering thought provoking and diverse set of disciplines, UG is the place where knowledge is created and acquired. The academic personnel of the University is staffed with highly qualified, well-experienced and creative professionals dedicated to teaching creatively and with enthusiasm, helping raise young professionals with demonstrated commitment to the public. UG is proud of its diverse community with cross cultural awareness. Its multicultural environment shapes intelligent, educated individuals with human values capable to meet modern challenges. 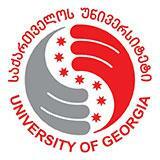 The objective of the University of Georgia, being one of the leading universities, is to encourage the personal development of each student and mold her/him as a highly qualifies professional. UG is always the right choice for those that seek to achieve great success in life.